What's the Deal with Drinking Activated Charcoal? Annmarie Skin Care > Hot Topics > What’s the Deal with Drinking Activated Charcoal? What’s the Deal with Drinking Activated Charcoal? While it might seem like a hip, trendy, LA fad, activated charcoal is not new health trend. Its use has been documented as early as 500 B.C. in Egypt, China, and India. It’s also being used in modern day hospitals, typically as a counteractive measure for drug overdose and poison ingestion. You can now find activated charcoal in everything from hamburger buns, ice cream, beverages, and many other snacks. In recent years, interest in activated charcoal has been reignited and its use has become more mainstream. Like the title says, “What’s the Deal with Drinking Activated Charcoal?” What IS the deal? There are a lot of claims being made regarding the effectiveness of activated charcoal for a variety of ailments. Some claims can be substantiated, others are just hearsay. Despite the latter, its usage has had staying power for many centuries. We're going to unpack why that is. To be clear, activated charcoal is NOT the same as charcoal from burnt toast. Nor is it the same as charcoal used to grill food. A variety of wood and coconut shells are typically used to create activated charcoal. Hot gas is used to turn the aforementioned source material into activated charcoal. Then, hot air is introduced to burn out the gases, creating a form of porous charcoal that we use for supplements and other items. The only way activated charcoal can be created is by a process of extremely high temperatures. Without this process, it should not be considered activated charcoal. Lack of significant research does not necessarily mean the claims aren’t valid. It just means the research hasn’t been done yet. But it may be a good idea to be mindful of the negative side effects of over consumption. If you do decide to try activated charcoal at home, check the ingredients for fillers and sweeteners. You want to choose activated charcoal made from sustainably sourced wood you can identify, or coconut shells(common). 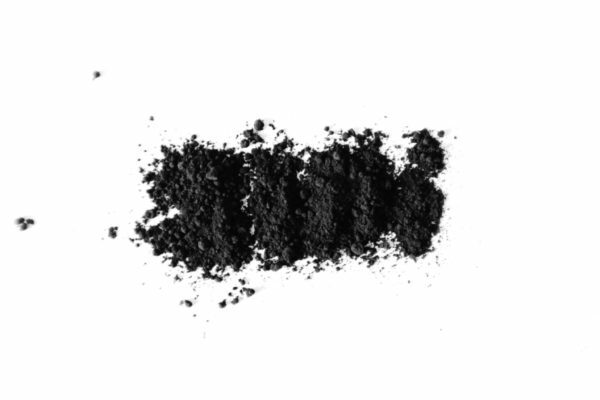 Consuming activated charcoal in a the form of powder, mixed in with water or a beverage has been considered by many to be an effective way to reap its benefits. When drinking activated charcoal, be mindful of the quantity you are consuming in the drink you’ve purchased. When creating a drink at home, follow the suggested dosage for the activated charcoal you’ve purchased. Too much activated can make you sick and/or cause digestive trouble. Also, be very careful not to inhale activated charcoal when creating drinks at home. There are loads of recipes online, but our favorite is mixing a teaspoon of charcoal in with water and fresh squeezed lemon juice. The charcoal doesn't have a flavor, so its a light, refreshing, citrusy beverage. These are times when activated charcoal consumption is an ally. There isn’t a lot of research to back this claim. But, enough to substantiate it. Brushing with activated charcoal could be too harsh for teeth enamel, so it is not recommended. But, you can apply it to your teeth to help reduce the appearance of surface stains from coffee, wine, etc. Daily use is not recommended. Despite the conflicting results of clinical studies, there is evidence that cramps and bloating related to gas reduced significantly with the use of activated charcoal. Activated charcoal can help reduce the stomach pain that results from gas. The adsorption properties of activated charcoal are very beneficial when it comes to eliminating poisons and other harmful elements from out body. There are trials that reflect evidence of activated charcoal can be effective in removing some drugs (theophylline, anti-depressants, etc),and poisons (phenobarbital, carbamazepine, theophylline, quinine, dapsone, etc) if taken within a few hours of poisoning or drug overdose. These elements are expelled from the body via the urinary and digestive tracts. However, there is mixed information regarding how effectively activated charcoal removes these toxins from the body. There are a few other beneficial claims made regarding the use of activated charcoal. Unfortunately, there is very limited to no research to support the claims. These include, but are not limited to anti-aging, lowered cholesterol and blood pressure, digestive cleansing, and hangover prevention. Activated charcoal is used for its adsorption ability. This works great for ridding our bodies of the things we don’t want, but not so great for the things we’d like to keep. As previously mentioned, its porous structure allows it to bind with what hasn’t yet been absorbed our the body. This characteristic works against us when we factor in the use of vitamins, birth control, and medication. Activated charcoal can be taken with vitamins, but should be taken on an empty stomach, at least 3 hours before or after the vitamin(s). It’s also advised that activated charcoal be taken on an empty stomach before meals. The reason for all this? Activated charcoal will not allow your body to absorb the vitamins, or the nutrients from your food. Adsorption binds indiscriminately. In some rare cases, malnutrition can occur when activated charcoal is taken too frequently. Regarding medication and birth control, always consult your doctor before taking activated charcoal. The effectiveness of birth control and medication is reduced when used. Clinical trials have shown when activated charcoal is taken in tandem with alcohol, there was no significant reduction of alcohol levels in the body. The studies related to this subject have contradictory results. In the case of digestive cleansing, not related to expelling drugs or poisons from the body, sorbitol (diuretic, laxative) was the active ingredient in activated charcoal supplements. Sorbitol retains water in the large intestines, stimulating colon muscles and expelling its contents. Like everything else we consume, we should try to empower ourselves with as much information as possible, making us more knowledgeable of what we put into our body. I gave a short list of the pros and cons related to consumption of activated charcoal. Performing our own research and consulting a doctor is always a plus when introducing new supplements to our diet. Paying attention to how our body responds is always the top priority. Do you drink activated charcoal? Share your experience in the comments below!